Providence Urgent Care Facility II - PWArchitects, Inc. 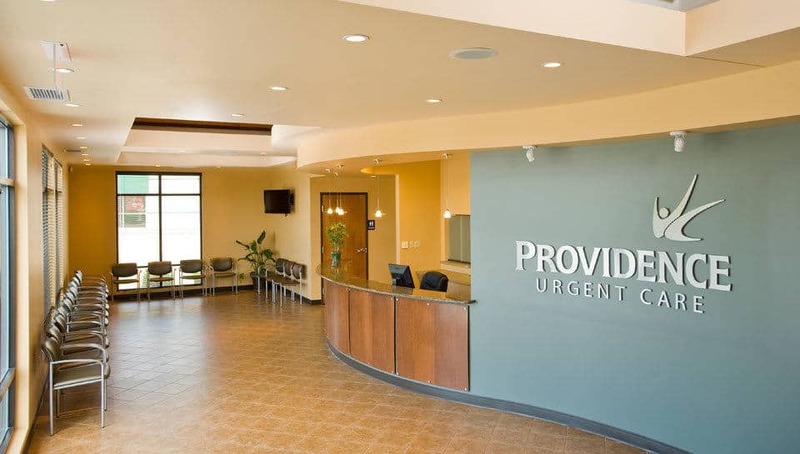 The full-service Providence Urgent Care facility located on Stadium Boulevard at the Stadium Shoppes is a design-build effort between PWArchitects and Coil Construction. The second Providence Urgent Care facility completed by this team, this 2,391 square foot project consists of 4 Exam Rooms, 1 Exam/Procedure Room, a full-service Nursing Station, a Testing Room, an X-Ray Room, Staff Break Room and Administrative/Reception and Waiting spaces.